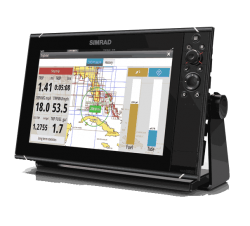 Navigate, take control, and enjoy an unprecedented level of built-in functionality with SIMRAD NSS evo3. 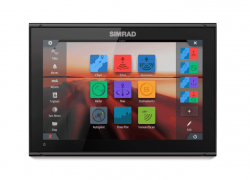 SolarMAX™ HD display technology delivers exceptional clarity and ultra-wide viewing angles, combined with an all-weather touchscreen and expanded keypad for total control in all conditions. 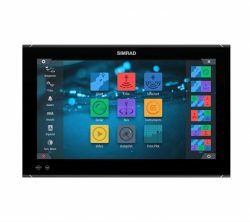 NSSevo3 12-inch display with GPS, sounder, WI-FI & HDMI out. 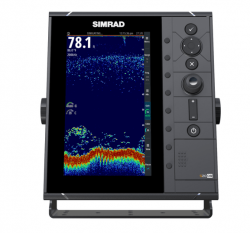 Dedicated Fish-Finder, 9-inch portrait diplay with integrated Broadband Sounder™ module and CHIRP technology. Full HD display, integrated high-performance processor which ensures a swift response to your every command. 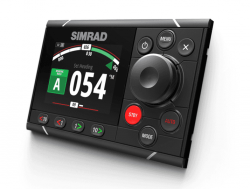 A premium dedicated control head for Continuum autopilot systems, enhanced with modern glass helm styling. 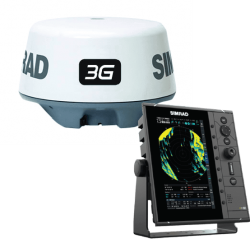 Dedicated 9″ portrait Radar Control Unit and 3G Broadband Radar. 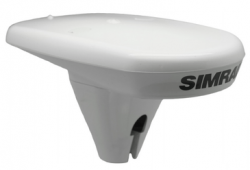 Entry level VHF radio with NMEA2000 connectivity for GPS position, backlight control and night mode grouping with Simrad MFD’s, with built in GPS Antenna. 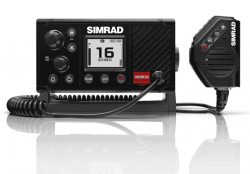 Simrad HS60 is a low cost GPS compass.